In Sri Lanka, school term tests are conducted three times in an academic year across all grades in the country. Not only do these tests help gauge a student’s academic progress, they also form the basis of scholarship grants. Maintaining a good academic record through term tests increases the chances of a student getting through competitive exams such as Grade 5 scholarships, O-levels and A-levels , and also winning. Hence, it is important for students to perform well across all term tests. One of the best ways to prepare for school exams in Sri Lanka and score well in them is through practicing past papers. Lesson revision: Since different past papers cover questions from different lessons each time, they give students very good lesson coverage and prepare them for questions from any topic. Understanding question pattern: Students get an idea from past papers regarding the type of questions that can be expected, and how to answer them. As a result, students are mentally prepared beforehand to tackle any type of question. Time management: Past papers help students practice completing questions on time, thus teaching them time management during exams and enabling them to score better. What term test papers to look for? In Sri Lanka, school term test papers vary by province. No matter where you are, however, it is always a good idea to practice with high standard test papers. Preparing yourself against the best standard exams will give you confidence, not to mention the required learning and understanding that you will gain, which will help attempt any type of exam. It is largely believed that Colombo term test papers and Western Province term test papers are very competitive and have a high standard. This is mostly the case, since schools in the capital, Colombo, and Western Province have a tough competition amongst themselves. 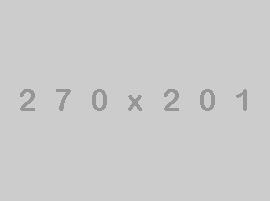 Subsequently, their educational standards are also very high. Besides Colombo and Western Province term test papers, parents and students should also look for Royal College term test papers , Visakha Vidyalaya term Test Papers and Ananda Vidyalaya Term Test Papers. Where to find all test past papers in Sri Lanka? 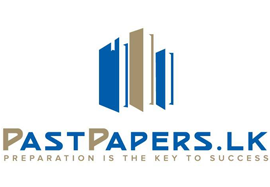 PastPapers.lk is a major website in Sri Lanka that contains all school term past papers in one location. You can find past papers for every medium in Sri Lanka, including English, Sinhala and Tamil. Furthermore, you can find papers for schools (all grades, all three term exams), GCE O/L levels, Edexcel and Cambridge O Levels, Undergraduate programs (Marketing, Engineering, ACCA etc. ), and so on. You will even find papers for some Post-graduate programs as well, such as MBA, M.Sc and so on. What are you waiting for? Go ahead and instantly download all the past papers you need, and start preparing for that A* grade! Good luck! . Go ahead and instantly download all the past papers you need, and start preparing for that A* grade! Good luck!